Should have 6+ years of experience in the field of Manual Testing. Must have basic experience in SQL operations (Insert, Select, Joins) and a basic understanding of database, tables, and attributes. Experience in testing of API / external interfaces. Should be able to identify the test data required for testing scenarios and is able to create test data/mocks. Should be able to identify and create test scenarios with excellent test case design and execution skills. Should have skills to do planning, tracking, and review (reviewing test scenarios and test cases developed by team members and ensure proper coverage, reviewing test results and provide inputs for test reports and software quality metrics). Should have skills to report the project status and build the knowledge base. Should have the ability to handle a complex functional project and lead a team of testers independently. Should be proficient in defect tracking tools and life cycle. Knowledge in Manual Testing or SQL Language. 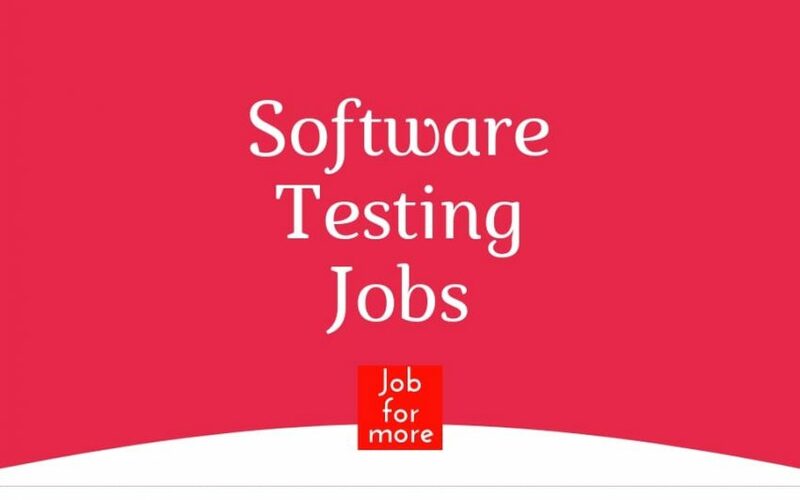 Flywings enterprises hiring for Manual Testing. Should have knowledge of Build deployment and upgrade. Should have knowledge of TFS and MTM. Should have knowledge of Agile methodology workflow. Strong Knowledge on E2E Hospital workflow. BE/MCA with 1 to 3 years of software testing experience is desirable. The person would be responsible for Application Testing using Automated Tools, Manual Testing, Testing for System Integration & performance testing of high-performance Microsoft based desktop and web applications. He / She should have previous experience in Testing, Test Planning & Writing test cases, thorough understanding of defect tracking process and issue escalation, Reporting on Test data, Execution of Tests, Test Environment Set Up. The person should have very good knowledge of Implementation of Test Automation requirements using any of the Test Tools. NXTVISION Software Technologies (p) limited. They have to undergo with [JAVA, DOT NET & TESTING] projects offered by our clients. NXTVISION will provide 4 months of training and thereafter 3/6/9/12 months of job experience on ongoing projects. The fee will be charged for Training. Freshers without knowledge on above-mentioned domains can also attend. Experienced in Manual Testing, Automation Testing and has knowledge of testing tools like Selenium. Sound knowledge in telecommunication domain. Excellent knowledge of SQL Server, In-depth knowledge of SDLC, STLC and Defect Life Cycles. Expertise in performing Smoke Testing, Functional Testing, System Testing, Performance testing, Interface testing, Application Level testing and Regression testing. Extensive experience with Defect Management, including documenting and recording of defects, follow up till defect resolution, and ensuring the closure of all defects. Experience in Web Services testing using SOAP UI. Fresher’s / 0 year of experience, Any Graduate/B.E/B.Tech/MCA. Direct payroll with “Suvarna Technosoft Pvt. Ltd. Plot No. 8, Suvarna House, Opp. Chandana Brothers / Hotel Sitara, Durga Nagar, Ameerpet, Hyderabad – 500 016. 9) Walk-In Interview for Software Testing. Pragmatic Career Solutions is conducting an interview of for testing interview in coming week only. Do spot renewal between 9th till 11th of October & attend software testing interview in coming week only. L-306, 2nd Floor, Mega Center, Hadapsar, Pune Solapur Road. ORC-210, 1st Floor, C-Wing, Behind Hero Showroom, above cosmos bank, Near Micromax Showroom. Experience in Camel will be a plus. Experience in DevOps, as well as CI/CD, will be a plus. Strong knowledge in core Java (e.g.Applets, Swing, JDBC, Serialization I/O, Collections). Strong knowledge of Design Patterns and OOPs concepts. Strong knowledge of J2EE (Servlets, JSP, XML, XSL, JMS, JMX, EJBHTML, SOAP, web services, Weblogic Server, Shell Scripting). Strong debugging skills on an IDE like JDEVELOPER or ECLIPSE. Strong knowledge of an application server like Weblogic Server. Should have hands on strong experience in ExtJS Developer with Java. If you have a good hands-on above tech stack, come for a technical evaluation with us. We are looking for highly skilled programmers with 4+ experience building web applications in Java. Java Developers are responsible for analyzing user requirements and business objectives, determining application features and functionality and recommending changes to existing Java-based applications, among other duties. Experience with user interface design, database structures, and statistical analyses. Development of Enterprise / Web / Mobile applications or modules, and Unit/Integration Testing. Involvement in Client Calls for Development Tasks Progress sharing/Queries. Preparing High Level/ Low-Level Application/components Documentation. Knowledge of current technological trends in the Software development industry, such as OOPs, Multi-Tier Software development, Component Architecture, Web Based Software. Knowledge of system integration issues. Ability to gather and analyze data and draw logical conclusions. Should have adequate programming skills and proficiency in Java 6+ and Spring/Struts/Hibernate framework. Should have sound Knowledge knowledge of Database concepts and query writing.